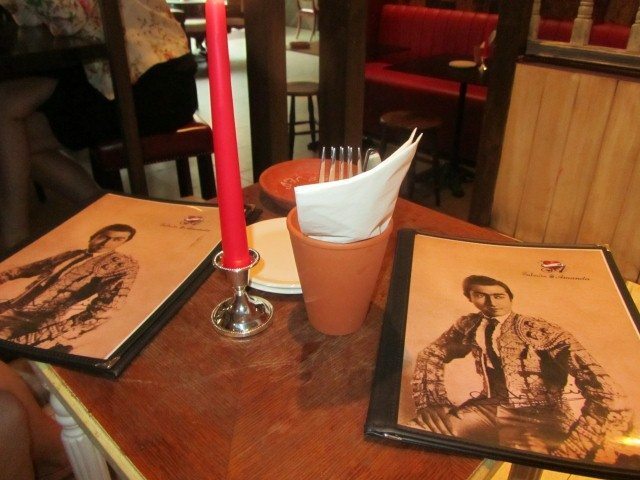 Salvador and Amanda is a Spanish restaurant focussing on tapas. 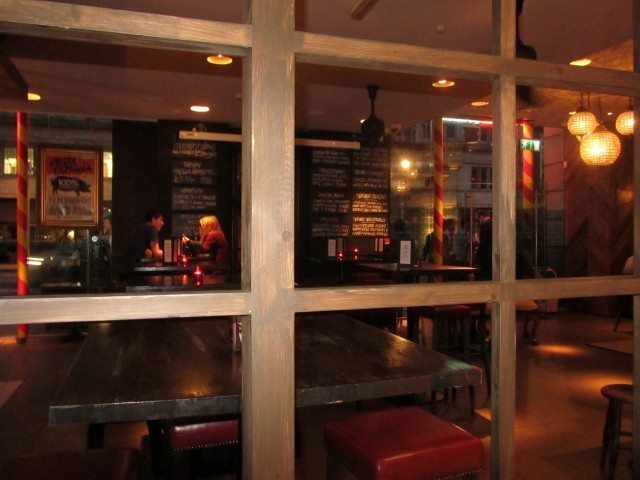 It has more of a bar like informal environment. There are small booth sections on the raised levels. The little white washed alcoves have cushioned seating and small buffets. Even though the seating was supposed to feel quite relaxing, it was difficult to get comfortable. 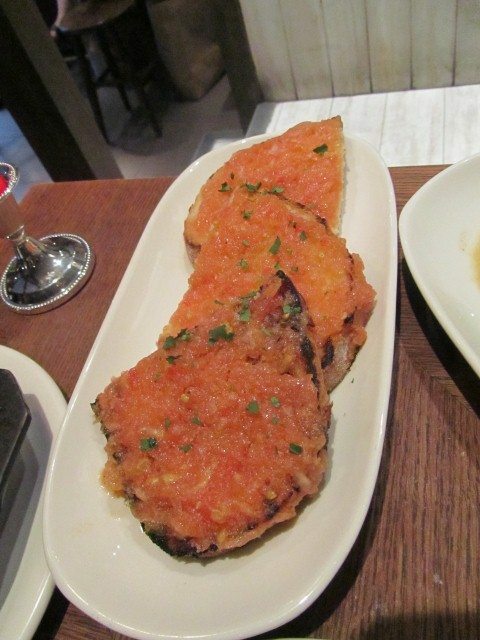 Our tapas selection started off with some salted smooth Marcona almonds and grilled tomato bread. The artisan bread was toasted and topped with a paste of fresh flavoursome tomatoes. 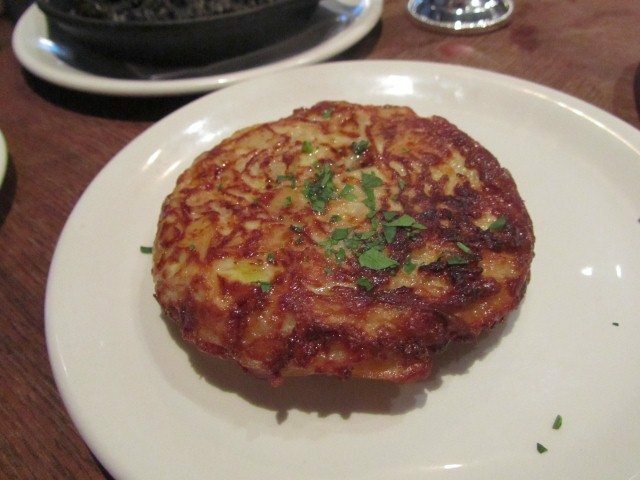 The Spanish omelette was a classic choice and you can never go wrong with the potatoes teamed with the egg. It was crispy on the outside and not overcooked. 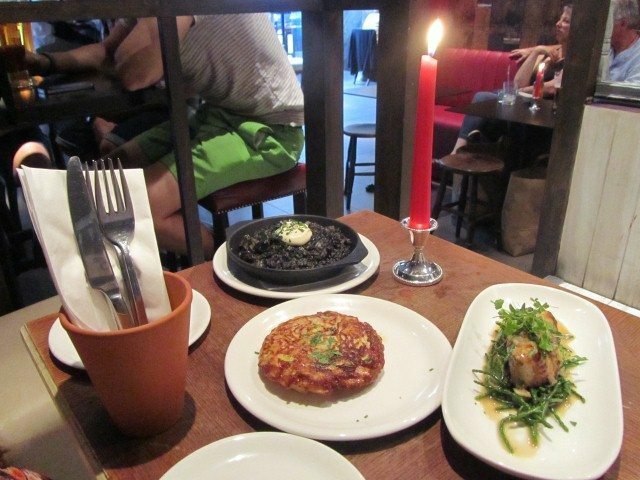 The highlights of the meal were the two fish dishes. 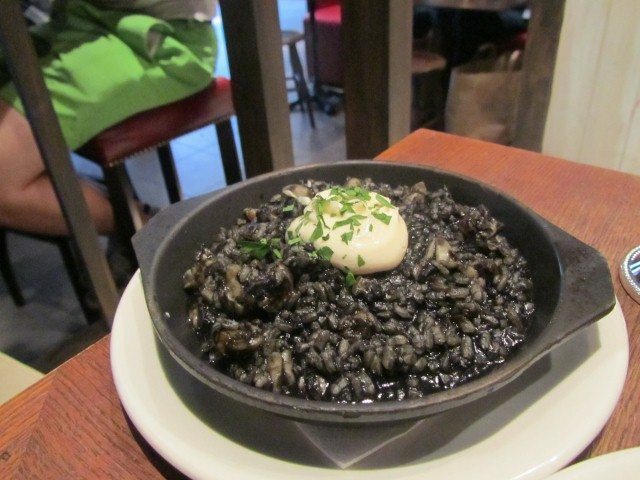 The garlic black rice was delicious with the squid and prawns. The rice was cooked so that it was not too soft. The pan fried cod with samphire was a fairly big portion. 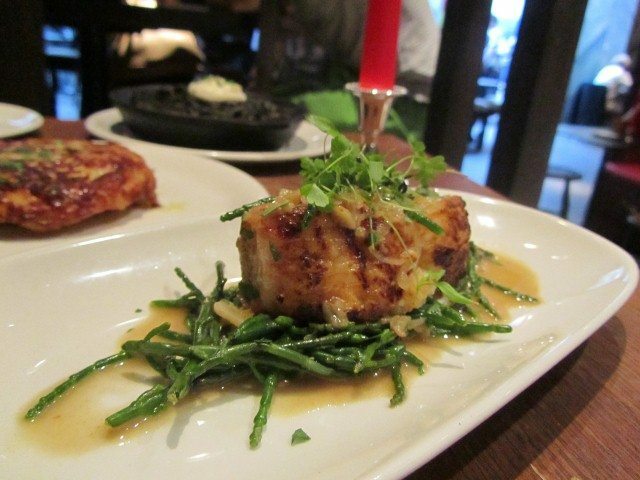 The cod was succulent and came dressed in a light sauce. 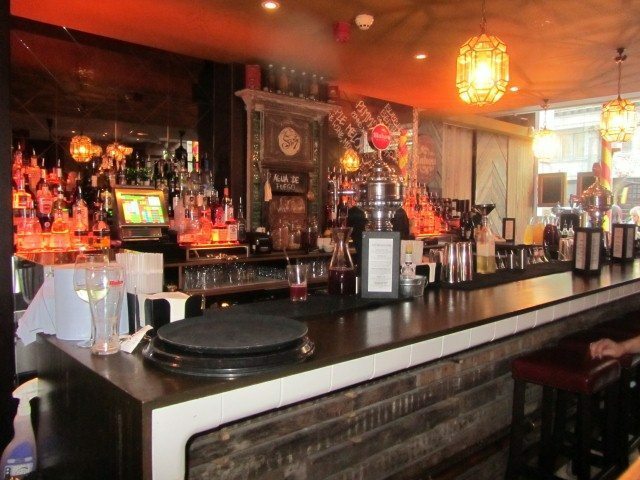 The staff were friendly although at times it was hard to get their attention. There were no complaints to be had at all about the food. It was served swiftly and it was all tasty. 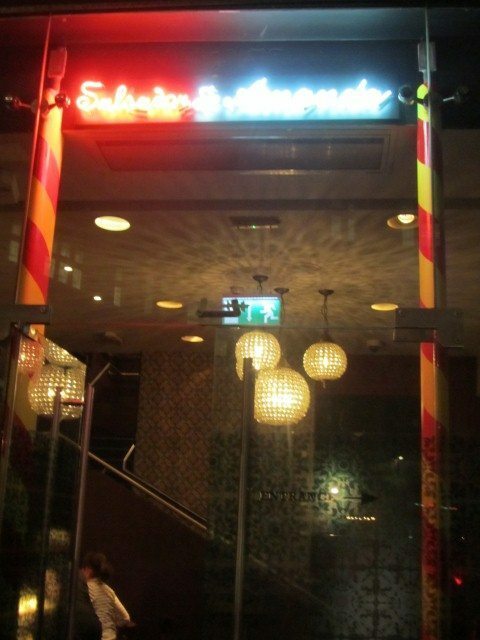 Salvador and Amanda is open till the early hours, just in case you are looking for somewhere late at night. It can be spotted by the neon lit sign on the exterior.